We are excited to announce that PlayStation Vue is adding multi-view on Apple TV today, allowing users to watch up to four live channels on one screen. 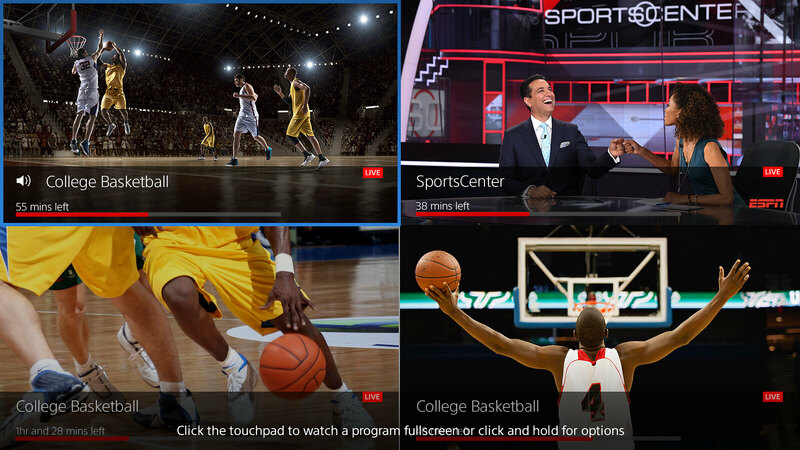 This comes just in time for NCAA March Madness, so you can keep an eye on all the action or mix and match live games with live news or other programs. 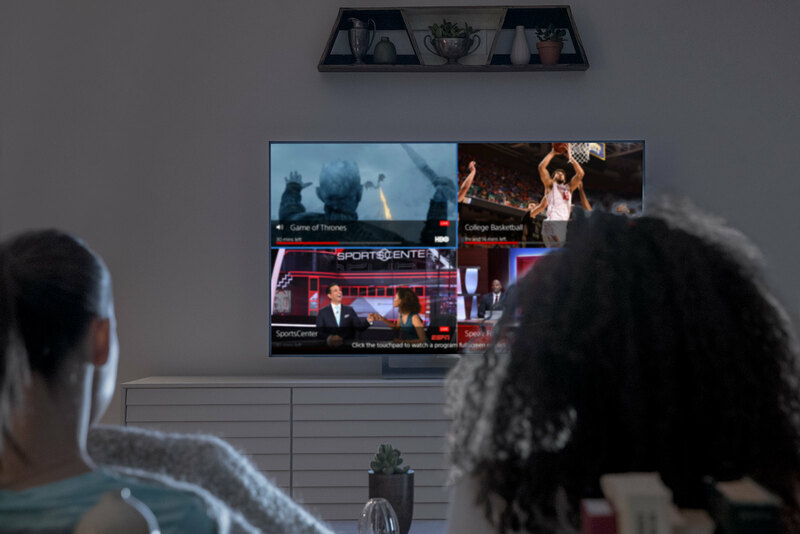 Multi-view is one of our most popular features on PlayStation 4, so we are thrilled to expand to Apple TV to allow more of our customers to enjoy the feature. PS Vue customers on all devices, which includes Roku, Amazon Fire TV, Android TV, iOS and Android mobile devices, PC/Mac browsers and Chromecast, continue to enjoy other rich features that come with their monthly plan, like industry-leading five simultaneous streams and a powerful cloud-based DVR with the least ad skipping restrictions — at no extra cost. We will also continue to offer standalone channels without the need of a multichannel plan, such as HBO, Showtime, and Cinemax, as well as continue to launch additional local channels. Currently 92 percent of the country has access to at least three of the “Big 4” broadcasters (ABC, CBS, FOX, NBC) on PS Vue. We hope you continue to enjoy all the innovative features available on PS Vue, and as always, thank you for your continued support. If you have not tried PS Vue, check us out at www.psvue.com for a 5-day free trial.